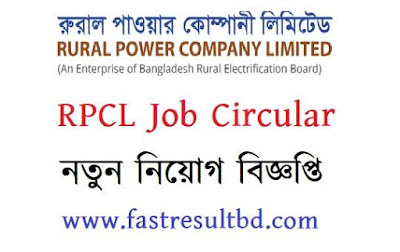 Rural Power Company Limited Job Circular has been published recently. Rural Power Company is a public limited company of Bangladesh which is also known as RPCL. The job opportunity in RPCL is very likely to us. There are nine vacant posts in the circular. The posts name are Assistant Engineer, Assistant Manager, Sub-Assistant Engineer, Assistant Accountant, and Office Assistant. The salary level is 26000 to 52000 Taka. And the educational requirements are HSC pass to BSC pass with work experience. Source: RPCL Website and Job Newspapers. Organization Name: Rural Power Company Limited. Post Name: Assistant Engineer, Assistant Manager, Sub-Assistant Engineer, Assistant Accountant, and Office Assistant. How to apply for Rural Power Company Jobs? You have to go to there website and you can fill up your form there. The application fee is 300 to 500 Taka. RPCL is public limited company since 1994. They are providing 287 MW of electricity from their 3 (three) Power Stations. Md. Abdus Sabur is the present Managing Director of this company. 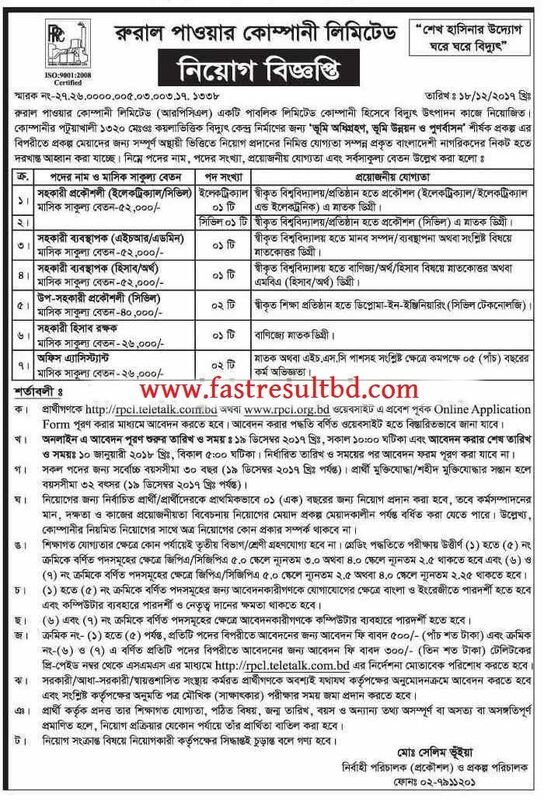 You can download RPCL Job Circular 2018 from their official website www.rpcl.org.bd and also from Fast Result BD. Hope you liked this post. Share this news with your friends so that they can apply for this.